Britain has long been viewed as a market leader in terms of advertising, design and branding - with globally-recognised brands such as David Beckham and One Direction, the Mini Cooper and Doc Martens. Brands tell others what we care about and what we think of ourselves, and brand choices allow people to buy into a 'British' ethos - regardless of whether they are in Manchester or Malawi. In a world seemingly dominated by American brands, from Apple to Coca Cola, British brands continue to hold their own, and can exert considerable influence at home and overseas. But what are the creative forces behind a winning brand? And how can the success of brands be maintained over the course of years or even decades? 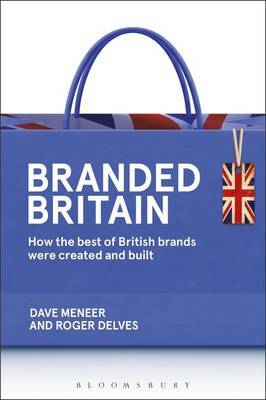 Written by Dave Meneer, the marketing force behind both the Eden Project and Jamie Oliver's Fifteen Cornwall, and Roger Delves, faculty member and dean of qualifications at Ashridge Business School, this new title uses case studies of successful British brands - from Virgin to O2 - to identify and illustrate the common threads that link all successful branding exercises. Topics covered will include leadership (ie, single-identity brands), timing, the rise of social media, branded houses versus a house of brands (why some companies choose to build a house brand umbrella over all their products), and brand failures.